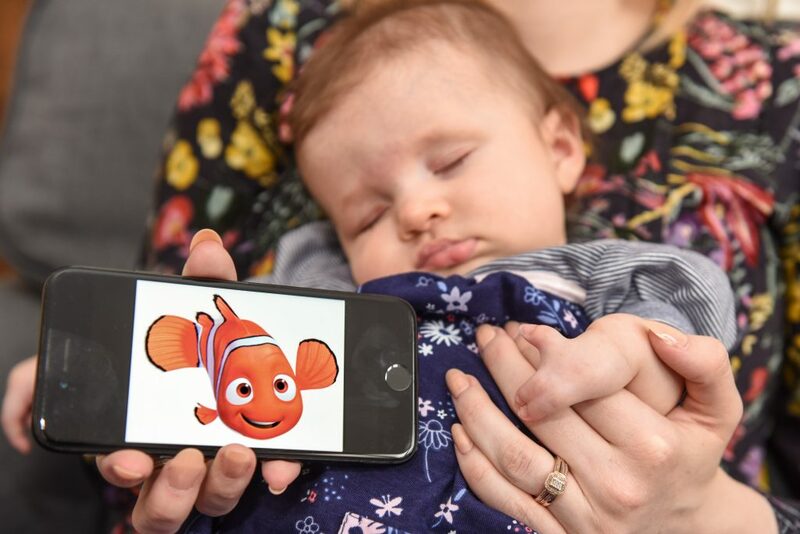 A proud mum is using Finding Nemo to show the world her baby girl born with half an arm and a ‘pincer’ hand is special – calling it her ‘lucky fin’. 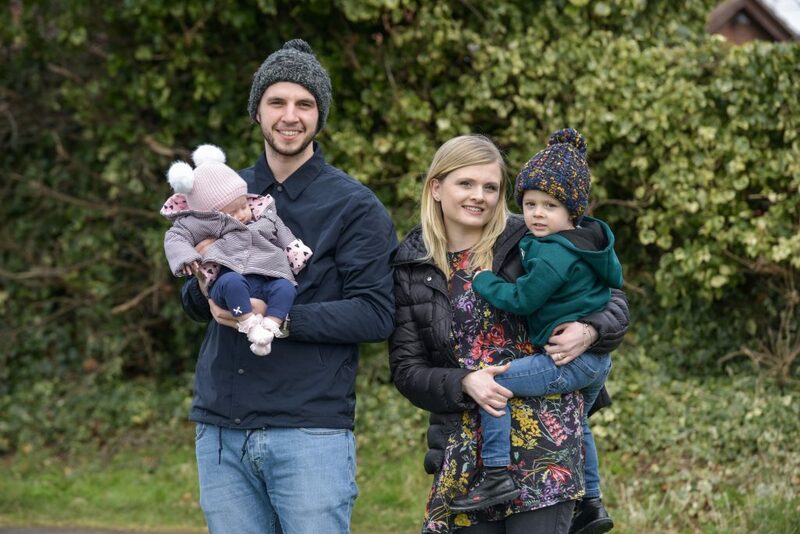 Mum-of-two Alex Tinsley-Black, 26, and her husband Joe Tinsley-Black, 28, received the devastating news that their baby girl had a deformed left arm at an early baby scan. 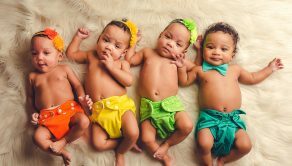 The couple were offered the option to terminate the pregnancy but decided to give their little girl a chance. Lennon Tinsley-Black was born with an incredibly rare condition called ulnar aplasia which means she is missing the longest bone in her forearm. The four-month-old is also missing her middle finger and her index finger and ring finger are fused – making her hand like a ‘pincer’. 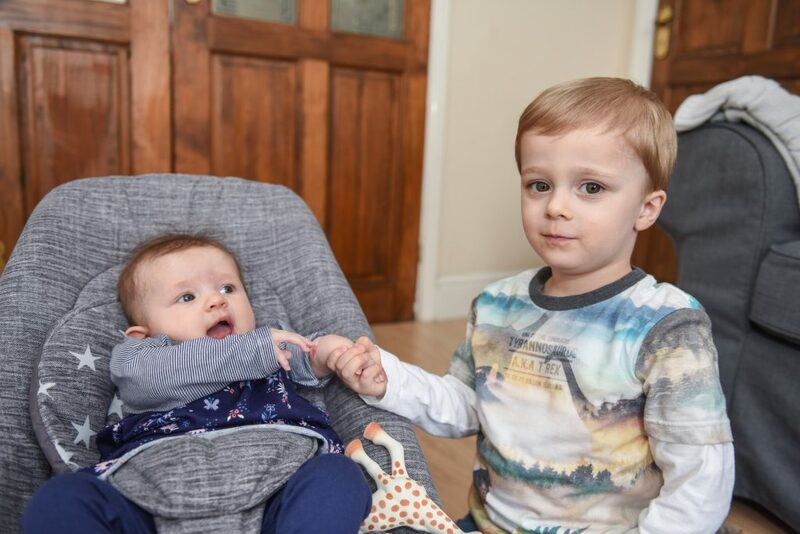 While her deformity means one of Lennon’s arms is half the length and her hand can’t grip, the brave and smiley tot never lets it hold her back and loves playing with her proud big brother Flynn Black, three. Bank cashier Alex is determined to make sure Lennon grows up knowing that being different makes her special and calls the little girl’s arm her ‘lucky fin’ – like Nemo’s damaged flipper. Alex, of Wilford, Notts, said: “How Lennon’s arm will affect her in the future is still really uncertain. “At first the doctors thought she was missing her radius bone but she was born without her ulna bone which is even more rare. “So her left arm is about half the length of her right and her elbow is permanently dislocated so she can bend her arm back 180 degrees. “The first time it happened I panicked because it looked like she must be in so much pain but she’s not at all. “Sometimes I find myself just staring at her, watching every little thing she does and making note of it. “Lennon has a ring finger and index finger that are fused together and her thumb and forefinger share a knuckle. “But her middle finger is trapped in the palm of her hand so her hand bends as if it has a knuckle of it. It’s like a pincer. “She can’t really grip anything with it but they might operate in the future to separate her fingers. We just don’t know yet. “But whatever happens she is going to be absolutely fine. She is such a smiley and happy little girl, we are so proud. 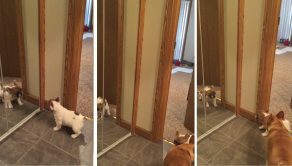 “She is meeting all her milestones and she loves it when her big brother plays with her. “Flynn is so great with her, he has really taken to being a brother. He calls Lennon’s arm her special arm without being taught to do it. It is so sweet. “I know that in the future, Lennon is going to face people staring at her and making horrible comments. It is not a nice thought at all but it will happen. “We want Lennon to be confident and to know that being different is nothing to be ashamed of no matter what people say. That’s why we call it her lucky fin. 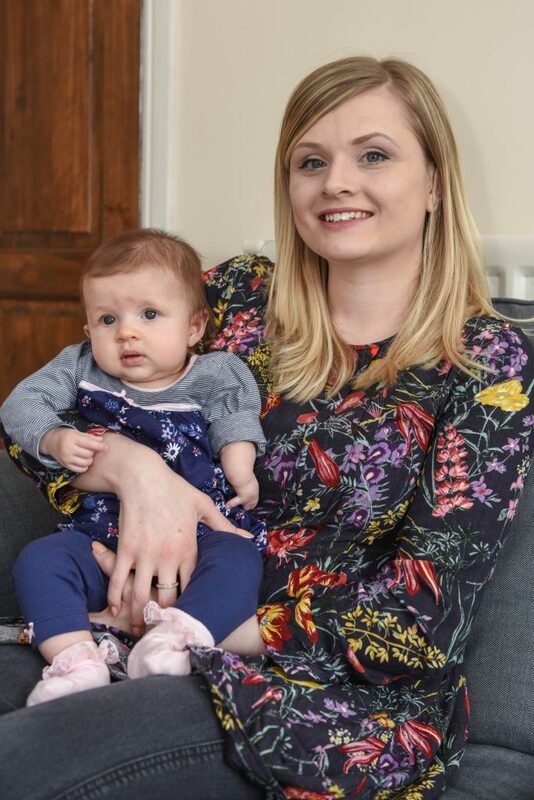 After finding out she was expecting in February 2017, Alex suffered a major bleed in March 2017 and was rushed to hospital thinking she had lost the baby. While Lennon had survived the bleed, Alex was found to have an unhealthy placenta and closely monitored by doctors with extra baby scans. At a scan in April 2017, Alex and senior personal banker Joe had their world’s turned upside down when doctors discovered Lennon’s deformity. Doctors are unable to determine whether Lennon’s arm is linked in any way to Alex’s issues with her placenta. 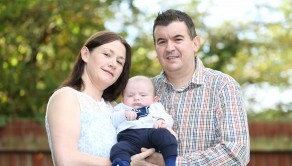 Despite being determined not to abort their baby, the couple then faced a terrifying wait as doctors carried out tests to make sure Lennon would survive the pregnancy. 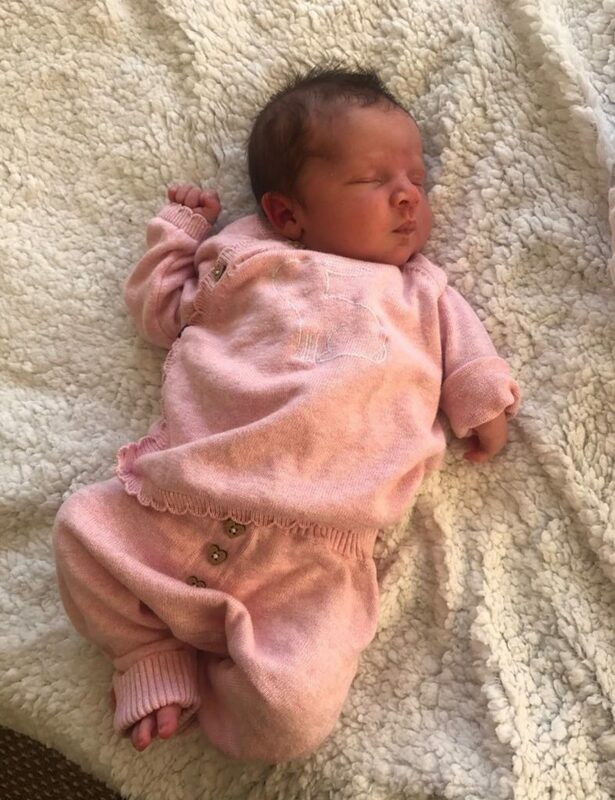 Alex gave birth to the beautiful baby girl at 39 weeks and the entire hospital were excited for Lennon’s safe arrival. has been ‘brilliant’, Alex said it can be ‘isolating’ raising a baby with such a rare condition. 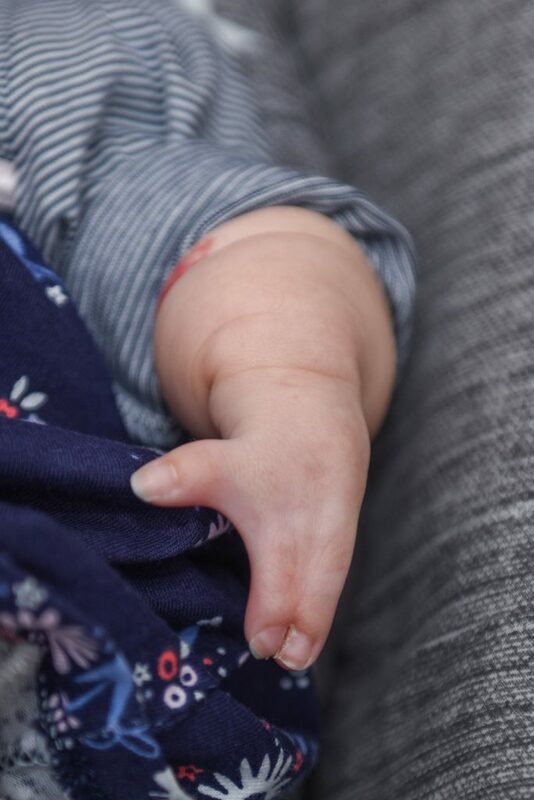 The mum wants to share Lennon’s story to not only raise awareness of ulnar aplasia but to show other families of children with limb differences that they are not alone. Alex said: “That first bleed was awful. Joe and I thought we had lost the baby. “After that I was told I would need more regular scans. In April we went in for a dating scan and they realised Lennon’s arm didn’t look quite right. “It completely turned our worlds upside down, it was a massive massive shock. “We thought we were going in for a normal scan and then suddenly we were being offered the chance to terminate, it was devastating. “Instead of being able to call our friends and family with good news we had to call them to prepare them. 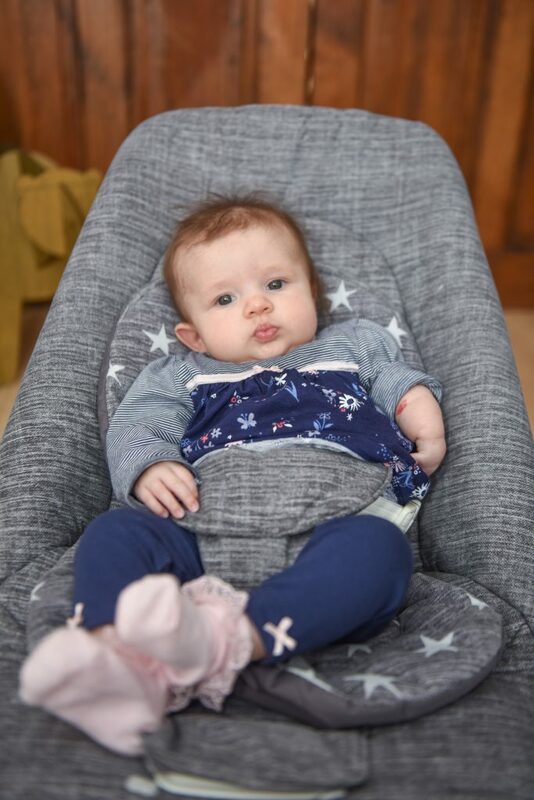 “We decided we definitely wanted to give Lennon a chance and go ahead with the pregnancy but then I had to undergo these tests where they stuck a big needle into my belly to test the amniotic fluid. It was so scary. “They needed to make sure Lennon didn’t have any genetic conditions that would make continuing with the pregnancy too dangerous. It took ten weeks for the results and the wait was horrible. “My belly was getting bigger and I was getting more and more attached but we felt like we couldn’t get excited because we didn’t know if Lennon was ever going to be here. “When she did arrive it was so special especially after all the uncertainty. Everyone from doctors, student doctors, consultants and nurses came to check on her. “Lennon is such a rare case that everyone wanted to see her and everyone was really excited when she got here safely. It was so nice and really reassuring. “The support we have had has been absolutely brilliant. Everyone has really rallied around us and Reach sent us a pack about children with limb differences. “But we have’t found anyone with the same condition as Lennon and it can be really isolating.